weight gain: to graze or not to graze? so after 5 weeks without training i have lost 4kg (make that 3kg, i have put on 1kg since i started writing this article). prob not just my upper body as i got a lovely burn in my legs from cycling for the first time again. this prompted a debate w my flatmates about diet and food intake. now that i can start training parts of my body again it’s time to get back to LOMAD. since i have started cycling, my appetite has increased again thankfully so it’s time to eat these calories. however, i am not a big fan of massive meals. so i tend to graze all day long. which is why LOMAD is useful in the sense that i can drink a lot of milk all day, making sure that i am hydrating (am on creatine) and nourishing at the same time. 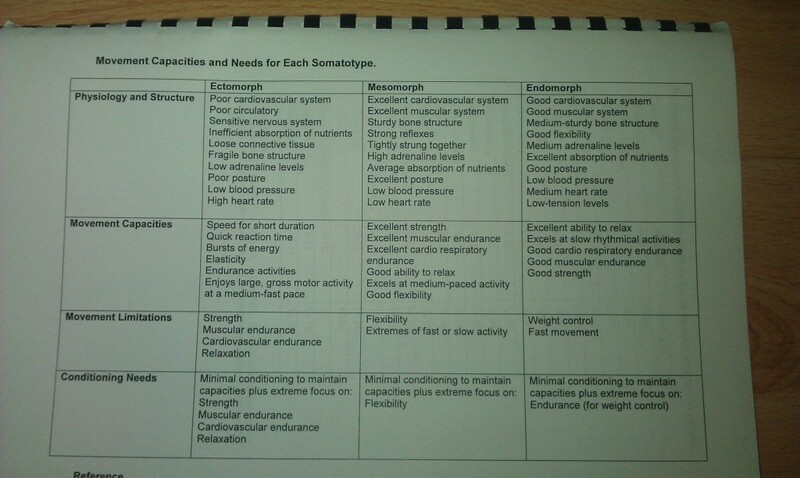 now a word of caution about the somatotypes, i do not necessarily agree w all this but it is a good start for understanding how bodies function and how differently they respond to exercise and nutrition. the best approach is to try out different ways of bulking up, and pick elements of each diet that work on your own particular body. one of my flatmates is an acrobat and hellbent on having LARGE meals fewer times a day (particularly dinner time). her argument is that while rehearsing, she cannot afford to graze as digestion impedes her ability to do physical stuff. her other argument is that to beat a fast metabolism and make it slower, grazing is the worst possible thing as it will only increase the metabolic rate. this article feels semi sponsored by the gaspari team (oh btw i used their myofusion powder in the past, very good results and lovely chocolate taste but oh so pricy). 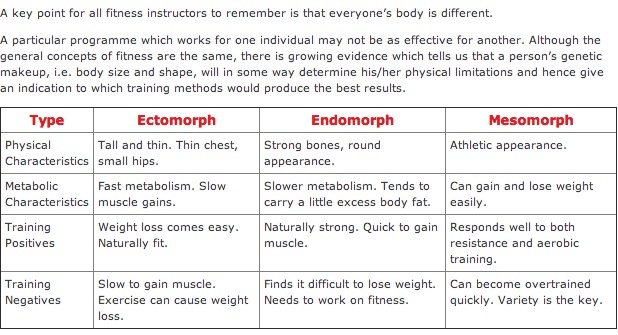 basically they argue that skinny “hard gaining” types should eat little and often, and pair that diet w a training consisting of HEAVY weights. i have always thought there were other ways to deal w (lean) weight gain than sitting down 3 times a day to eat 1kg of food in one go w a tub of butter to top it all up. i tested this approach and this is the ONLY way i found to put on weight which left me feeling good about myself (and prevented a build up of fat! not that i put much on, but i want to put on LEAN mass not fat, and i know it’s possible without going through the dreaded “pile on the pounds and cut” system so many body builders rave on about). but this way does take dedication too. second you must train regularly to ensure you break muscles and rebuild them with all the nice nutrients injested: atm am still recovering from surgery but am trying to have 3 workouts a week. weights mostly. plus i cycle 5 days a week about 10 miles a day to get to work. and that’s not tourist cycling, but full on racing, on a fixed bike too (not enough adrenalin otherwise). without regular training there will be NO muscle gains. oh and stretching isn’t training btw, it’s stretching (which has its place pre and post training!). the kind of training i mean hurts, makes you out of breath and gets your heart pounding. and it lasts for a good 45 mins. (another post will come about this, duration, reps etc, but this post isn’t the place). it’s meant to damage your muscles so hypertrophy can occur as a natural reaction to exercise that challenges your strength. so beware of “maintenance” training. you want to challenge yourself EVERY single workout and destroy these muscles to the fibres rebuild bigger and stronger. lastly, cheat and boost your intake w LOMAD. i can’t seem to stop going on about it heh? well the reason is that it bloody works. drinking one litre of milk a day adds a nice amount of calories and protein to your normal grazing diet.